Skip the long security lines. If business or vacation plans take you to a place not easily accessed by the airlines, use our FAA-certificated Charter Operations division as an alternative. We specialize in aircraft charter flights within a 575 statute mile (500 nautical mile) radius of Centennial Airport, or really, any airport in the vicinity, including Denver International Airport. 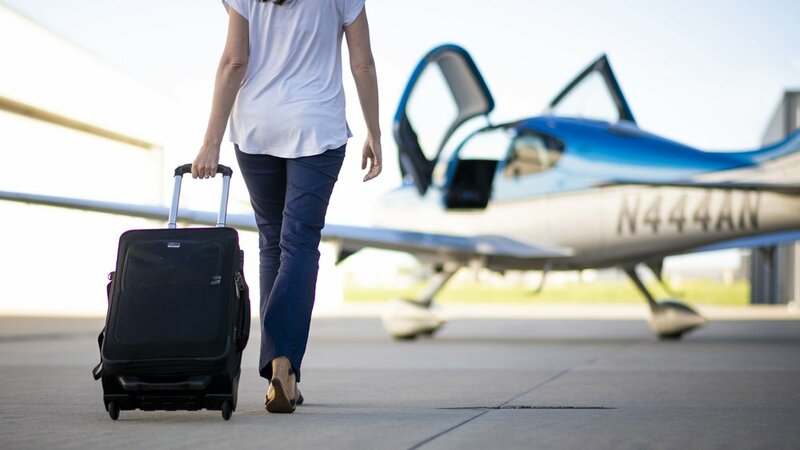 Travel in a high-tech, comfortable four-seat Cirrus aircraft with a highly skilled and experienced pilot. Enjoy destinations like Sedona, Durango, Telluride, Steamboat Springs, Bull Frog Basin, Moab, Sante Fe, Jackson Hole, and Thermopolis without the need for long drives or an airline/drive combination. Go to that business meeting and be home for dinner. Avoid the time and hassle required to fly out of DIA. Park just a short walk from the aircraft – there’s no expensive DIA parking or shuttles involved. To get a quote, please fill out the information below and we will get in touch with you as soon as we can! Thank you! We will be in touch soon with your quote!